The Royal LePage Revelstoke Team is here to tell you more about the commercial and development market, local housing market, buying a new home or selling your current home. Come meet the team. Don has been in the ski resort, hospitality and real estate business since 1983. His years of experience contributed to the successful ownership and operation of the Historic St. Cloud Hotel in Canon City, Colorado from 1997-2003. In 1989 Don became a licensed Real Estate Broker in the state of Colorado opening his own company specializing in hospitality, commercial and development properties in the ski resort town of Steamboat Springs, Colorado. Don and his family moved to Revelstoke, British Columbia in 2007, in conjunction with the opening of Revelstoke Mountain Resort. 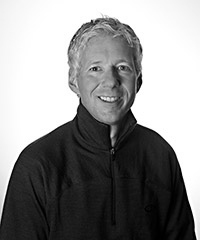 In 2008, Don became licensed as an Associate Broker in British Columbia and joined RE/MAX Revelstoke Realty. Don and his family became landed immigrants in 2012 and in May 2014 Don purchased the Royal LePage Revelstoke franchise. Don’s areas of expertise are in hospitality, development, and commercial sales in Revelstoke and the surrounding areas. Royal LePage Revelstoke is proud to welcome Sally Robertson as Co-Owner. 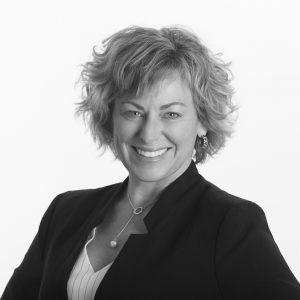 Sally has over 20 years experience specializing in marketing and sales strategies for real estate brokerages and real estate developments in Canada, Western US and Mexico. Sally’s expertise will contribute to Royal LePage Revelstoke team’s successful representation of our local, regional and international buying and selling clientele. 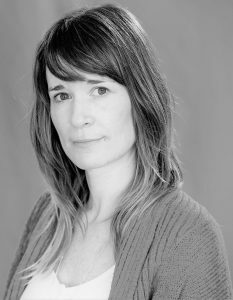 Emily has called Revelstoke home since the spring of 2007 moving from just outside Toronto where she grew up in the Caledon Hills, Kitchener/Waterloo, and Paris Ontario. 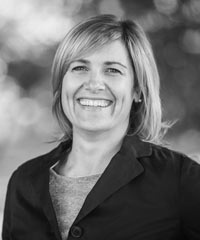 With over 20 years in the marketing and advertising industries and as a Licensed Realtor in Revelstoke BC since 2008, She brings a wealth of experience and understands the intricacies needed to provide outstanding client care. Her dedication to your satisfaction & the shared enthusiasm for the abundant lifestyle Revelstoke offers will shine through. 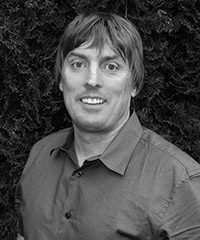 Rich has been working as a Realtor in the Revelstoke market since 2007 after moving from Whistler. Rich has become well versed in properties located at Revelstoke Mountain Resort having been on the original sales team that sold over half of the condominiums and land available. Since then, Rich has established himself as a successful Realtor in the local Revelstoke housing market, representing both sellers and buyers with honesty, expertise and an in depth knowledge of local market conditions. The attraction of a small town atmosphere, the beauty and most of all the skiing and cycling have made Revelstoke a natural choice for Rich’s lifestyle. Don’t hesitate to reach Rich if you are considering a move to town or one that is just around the block. After a successful career as an oil & gas contract analyst in her home town of Calgary AB Tara moved to Revelstoke in 2008 to participate in the vibrant skiing and sport scene the region is known for. Her passion for the outdoors, her love of the mountains, and desire for a well-balanced lifestyle is what brought her out to discover our amazing town, but it has been the community that she has grown to love in her decade living here that makes her stay. Shortly after the birth of her daughter Scarlet, Tara started and successfully ran a small bookkeeping firm servicing a wide array of small businesses which allowed her to gain a thorough knowledge of the community as well as let her develop personal and business relationships with the people who reside in this amazing town and surrounding area. Tara started with Royal LePage in 2004 in an office manager/bookkeeping capacity and received her Real Estate licence shortly after. Her outgoing and ambitious personality combined with the desire to educate and help her clients throughout the process has been rewarded with immediate success as she has become one of the go to agents in Revelstoke. This knowledge of the local community through business and recreation gives her the edge to provide transparent, honest, and a sincere real estate experience. Whether your purchasing your first home, finding that perfect vacation property, a new investment property, or a commercial endeavor, let Tara’s expertise of the local real estate market and her love of the area help you with the process in finding exactly what you are looking for. 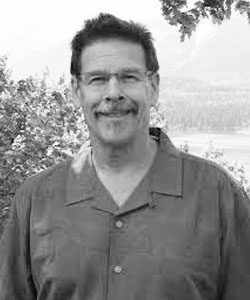 Joe was born in Vancouver and moved to Whistler in 1991 where he settled into a successful career in the tourism/ ski industry. Very few people are as connected in the ski world as Joe as his pre-real estate career included work as a professional skier, avalanche forecaster, ski patrol manager and ski television show host. In 2007, Joe was lured to Revelstoke by the promise of big mountains, deep powder, new opportunities and a warm and welcoming community, and Revelstoke has delivered on all fronts. “The skiing, sledding and mountain biking are all as good as it gets, but the community is what makes me really proud to call Revelstoke home”, says Joe. His community involvement includes volunteer work with Revelstoke Search and Rescue and the Revelstoke Adaptive Sports Program. This combined with his countless hours doing avalanche safety outreach earned him a 2014 nomination for the Revelstoke Chamber of Commerce Community Service Excellence Award. More recently, Joe has committed 1% of his income to assisting Revelstoke community initiatives. 2019’s earnings will go to the Revelstoke Search and Rescue training fund. As an avid world traveller, Joe knows there’s no other place quite like Revy, and his passion for this town shines through. He’s built his own home here and really knows how to get creative and “make it work”, especially for first time buyers. Let Joe put his expertise, enthusiasm and integrity to work for you.